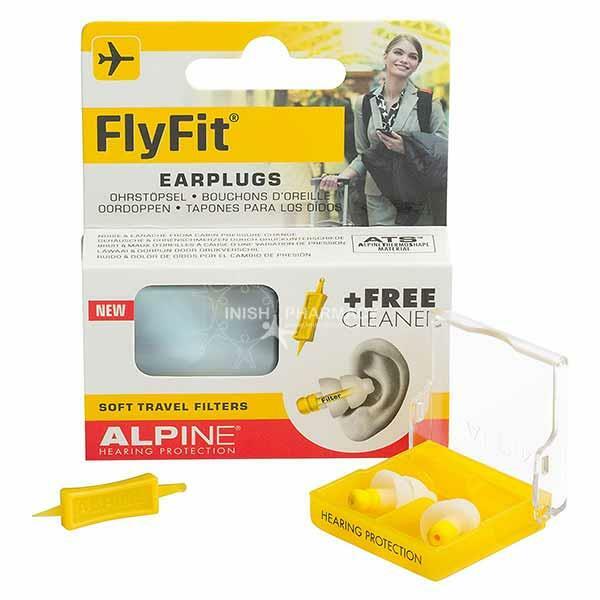 Alpine FlyFit Earplugs Soft Travel Filters & Free Cleaner are perfect for use while travelling. These reusable earplugs absorb engine and cabin noise while ensuring that conversations can still be heard. They also prevent any difference in pressure and pains in the ears while flying. They are also suitable for use in cars, trains and buses. They are extremely comfortable due to the Alpine Thermo Shape and soft filters. These earplugs have a compact carry case and the Alpine Cleaner to keep them clean allowing them to last longer.